The Chicago Department of Aviation oversees both of Chicago’s International Airports. O’Hare International Airport is located west of downtown Chicago and is easily accessible from the city by car, bus or convenient train lines. Likewise, Midway International Airport, located south and west of the Chicago’s downtown loop, is also readily reached by car, bus or train lines. 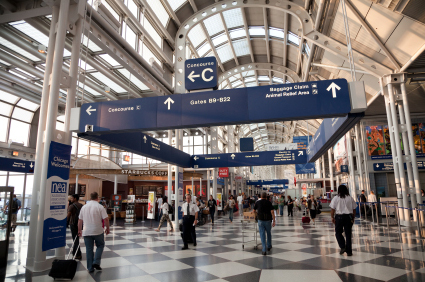 Having two major airport facilities in the Chicago Metro Area provides for flexible and convenient travel for business travelers, vacationers, family and friends. Chicago’s North Shore, North and Northwest suburbs are especially fortunate to have O’Hare International Airport within a reasonably short drive from most area communities. 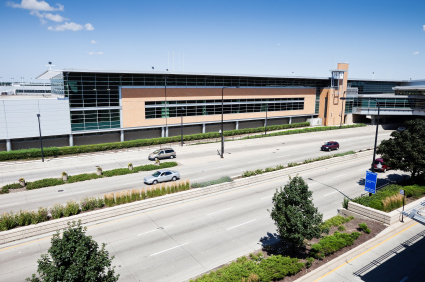 For additional information regarding O’Hare International Airport, its access, terminals, parking and maps, click here. For additional information regarding Midway International Airport, its access, terminals, parking and maps, click here. For comprehensive Fly Chicago information, click here to visit the official website.